Written on Feb. 9, 2014 in SoftPLC Hardware/Software . Now any version 4.6 or later SoftPLC with ModbusTCP I/O (including Tealware) can be used in systems requiring bumpless transfer hot backup controllers. The solution includes a HOTBACK.TLM (firmware Cat No SPZ-HS) and a passive hardware component, called an Arbitrator (Cat No SPZ-HSA) which manages the Master/Backup status designations and I/O communication. 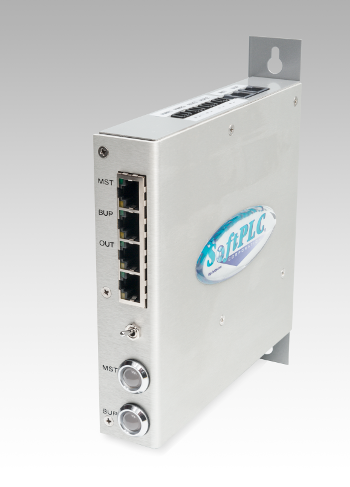 The Arbitrator includes redundant power input, and can provide redundant power output as well. Click here for more information.